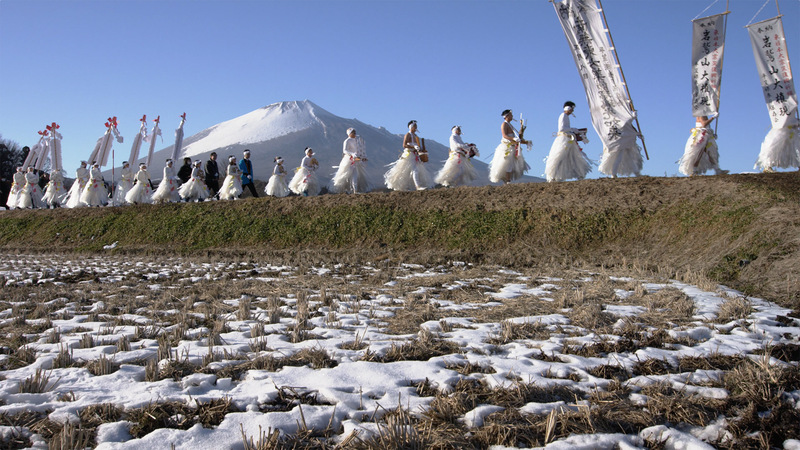 A traditional event where people pray for sound health and safety in the family, Hirakasa-hadaka-mairi is an unusual ascetic practice even women participate in. Participants walk eight kilometers carrying flags and offerings. Their dignified white outfits under the cold winter sky is a beautiful sight. A dam lake created by damming Kitakami River which runs across Iwate and Miyagi. The dam is 480 meters wide and 50 meters high, and is a place for citizens to relax and refresh. Mt. Iwatesan’s reflection on the lake’s surface is of picturesque beauty. 2,038 meters high, Mt. 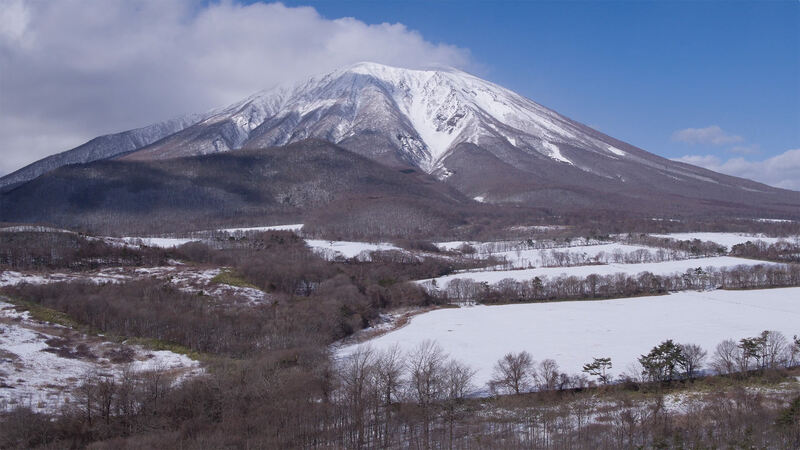 Iwatesan is the highest mountain in Iwate Prefecture and is also known as Nanbu-katafuji for its beauty. It is still slightly active as a volcano. A panoramic view of Mt. 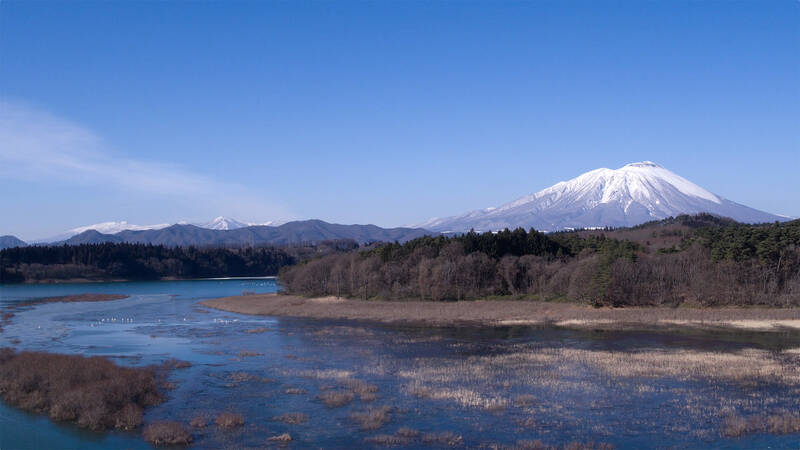 Hakkodasan and Hachimantai can be enjoyed from the summit. 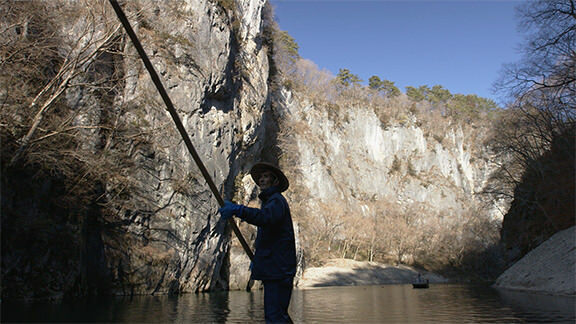 A valley where 100 meter-high limestone cliffs created by the river’s erosion continue for two kilometers. Kotatsu boats run in the winter. The snow falling on the towering rocks is a fantastic view reminiscent of traditional ink paintings. 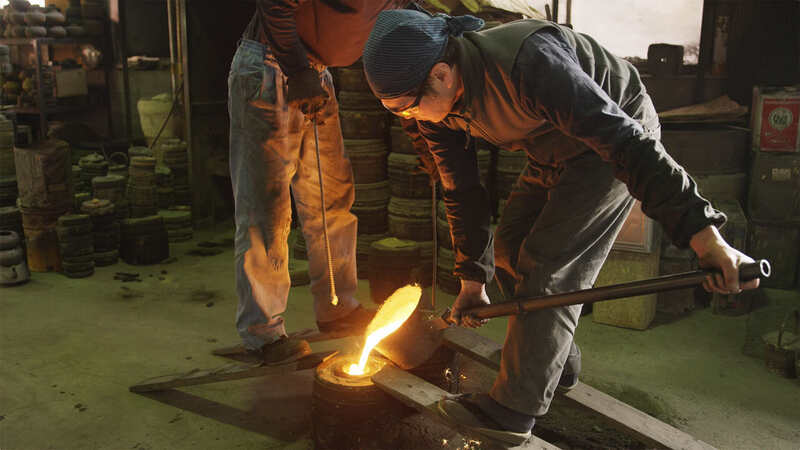 With over 400 years of history, ironware from Iwate Prefecture is a traditional artifact handed down by generations of expert craftsmen. Delicate and profound, each piece is a Japanese treasure. 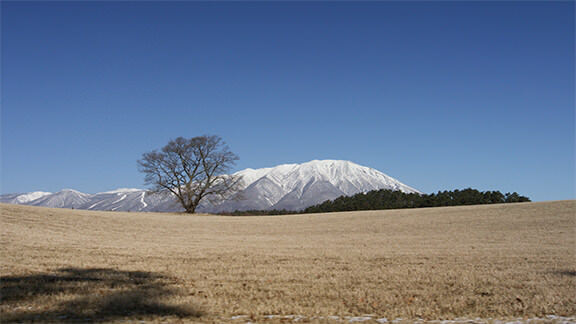 The single cherry blossom tree standing in the white snow field with Mt. Iwatesan in the background is famous as a location for film and drama shoots. The power of nature can be felt from the sight of it stretching its branches in the cold weather.